This was a capture made on morning walkies. 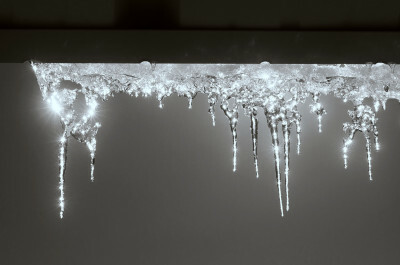 The icicles were just gorgeous with the sun shining through them. The capture was made with my D300 and a 105mm f/4 micro-Nikkor. The black and white conversion and toning was done with Photoshop.